NetBet are already generous when it comes to promotions, though this one is bigger than just about anything they have done all year. This is a knockout betting contest, which gives you a shot at winning a Ferrari… worth a cool €220,000. This promo starts on the 10th of December, though I recommend you opt-in as soon as possible. Once you have opted in via the button on their website (click on promotions first, then the ‘more info’ button under the NetBet Cup entry), you are part of a knockout tournament. You then need to place a bet each day which qualifies under their rules. Each day losing bettors will be eliminated, and winners will go through to the next round (the next day). If there are one or two shock results, I can see the field being thinned very quickly. Soon enough there will only be one player left – and that player will be driving away in a brand new Ferrari! Check out www.netbet.com and opt-in now. This online bookmaker knows how to look after regular bettors with sports betting bonuses and promotions. The welcome bonus is ordinary enough, this is a 50% match on your first deposit up to €50. Once you are a regular, things get much better. I really like the ‘Golden Goal’ regular promotion, which gives you a shot at €30,000 per month (not all of it, this is a tiered promo). You will also get a 50% bonus on qualifying accumulators at this sports book. What really makes NetBet stand out are the creative one-off promotions (just like the NetBet Cup), rather than just replying on a stock of repeating offers. You’ll find the range of sports is huge too, and backed by the popular PlayTech betting platform. The poker room at NetBet is part of the iPoker Network, which is collectively the 3rd largest international poker room. New players get €20 free here, €10 right away, and €10 more after 7 days. You’ll find a lot of novice players at the tables here. A large component of this is cross-over traffic from the sports betting side of the brand. People place a bet, see the poker room – and then head on over to check it out! The soft games make this a great place to learn the game. If you do already have experience, then you should be able to make a profit here! You will also find a huge range of casino games at NetBet. The base casino is PlayTech, which includes table games, a live dealer casino plus a lot of slots. There are a lot of jackpots in the PlayTech range, including the infamous Marvel ones, plus huge pools with Jackpot Giant, Spamalot and others. You will also find a bunch more slots (including live type games) in the ‘Vegas’ section of the casino. 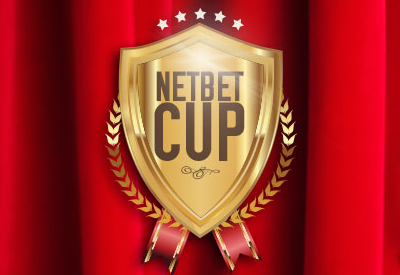 I’m a big fan of NetBet, who have the reputation and track record of a reliable operator, yet are not afraid to push the boundaries with big new promos – just like the NetBet Sports Betting Cup! Check out www.netbet.com for yourself now!